An urban oasis amongst sprawling natural beauty, Seattle is one of those destinations that appeals to just about everyone. Home to much more than just the Space Needle, interesting shops, restaurants and landmarks abound. From the outdoorsman to the art collector to the busy bee, we’ve found the best Seattle has to offer — right in the heart of the city. If you ask anyone in Seattle, they’ll tell you there’s no better place to peruse than Pike Place Market. 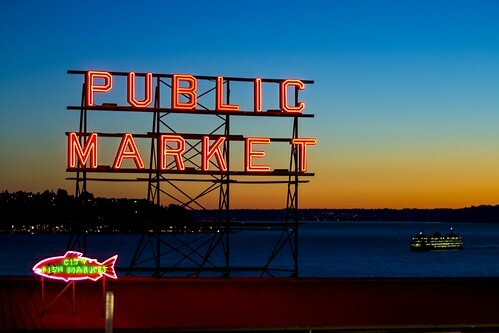 Whether you’re shopping for fresh seafood, gourmet coffee, local souvenirs, or simply intent on seeing the famous flying fish, The Market is a mainstay in the Pacific Northwest and the pulse of the city. Open 363 days a year since 1907, you’ll find first Starbucks’ store here and so much more. In fact, Pike Place Market is so popular amongst the locals and city visitors that its undergoing a major expansion in 2017 (its first in 40 years!) to ensure that folks can continue enjoying it for years to come. In Seattle, nothing pairs better with a winter day than coffee — and a good book. Lucky for you, Seattle has plenty of amazing bookstores to check out, like independent bookseller Elliott Bay Book Company. Home to over 150,000 titles, it’s been open for more than 40 years, making it an iconic place for both locals and tourists alike. If your idea of a vacation is letting your mind wander to far off lands, well, you’re in the right place. 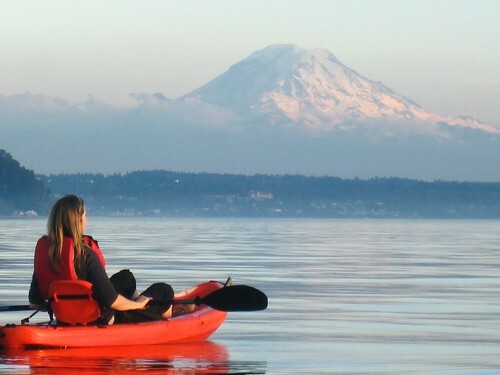 Whether you’re keen on climbing an active volcano or simply paddling around the Bay, there’s no doubt about it: Seattle is a city that embraces the outdoors. The best part is you don’t have to drive far to enjoy the green space either. Thanks to the hilly landscape, hiking and biking trails abound, making it feel like you’ve scored a secret oasis right in the heart of it all. No matter if you choose to mountain bike Duthie Hill, kayak Puget Sound, or SUP around Alki Beach, adventures are in no short supply. 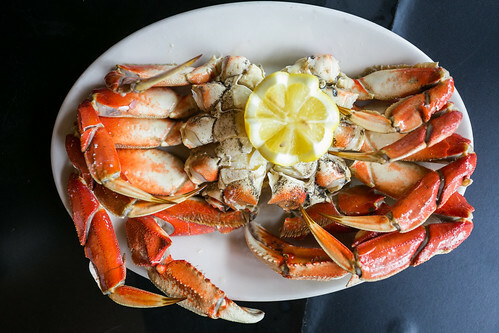 Seafood is the name of the game in Seattle. From shucked oysters to delightfully tender fish and chips, Emerald City chefs know how to serve up the freshest, locally caught seafood. Italian restaurant Anchovies & Olives consistently ranks as one of the top five restaurants in the city, while the more laid-back Ray’s Boathouse has been a Seattle staple since the 1930s. Situated right on the docks, you’re just as likely to see the boat coming in with your dinner as you are a magnificent sunset overlooking the water and the Olympic Mountains. From techie treasures to amazing art installations, Seattleites are quick to tout their accomplishments — and their quirks. 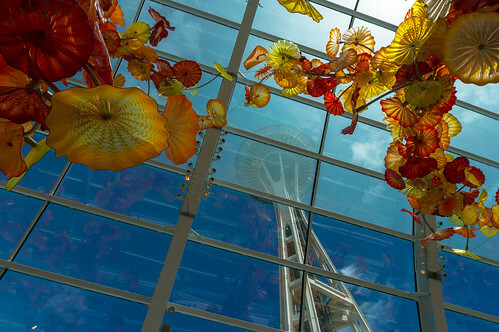 With more than 40 museums in the area, you can easily spend the morning admiring the Space Needle under a technicolor of decorative glass at the Chihuly Garden and Glass and the afternoon moseying up to otters at the Seattle Aquarium. As part of Seattle Museum Month this February, you can score discounts on admissions and even hotel accommodations. Now that’s what we like to call worthy of a celebration.